Wing Chun, in all reality, is a rom-com with kung fu. When there isn’t any fighting then the audience gets embroiled in the comedy of errors as Aunty plots to win the heart of the Scholar no matter what, and Charmy falls for Pok To, and Pok To falls for Charmy but only because he thinks she’s Wing Chun, and Wing Chun isn’t sure about what the hell to do with any of it. This is standard Hong Kong comedy, and as such you’re either with it or you’re not. There isn’t really any middle ground with it, and I liked it as a whole. Michelle Yeoh is great as Wing Chun, in the way that while she is a great fighter, she’s not so confident when it comes to love and romance. Donnie Yen does get to flex his comedy muscles as well as fighting—but not that much, since this is Yeoh’s show. No one actually dies in this film, as it is meant to be a lighthearted romp (at least as much as a movie that has a guy get castrated by a burning wooden shard can be) and even has a really sugary happy ending, in which pretty much everyone gets married and lives happily ever after. I’ve said before that Yuen Woo Ping has to be one of—if not the—greatest fight choreographer of all time, and he’s done nothing to make me think any different. 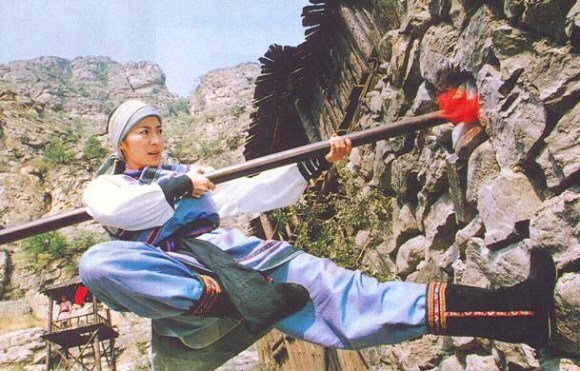 All of the Michelle Yeoh versus Chui Sui Kueng fights are well done, and is the main showcase of the film. Woo Ping’s imagination goes deep again as he features a fight on top of two running horses that is just…well, Woo Ping. 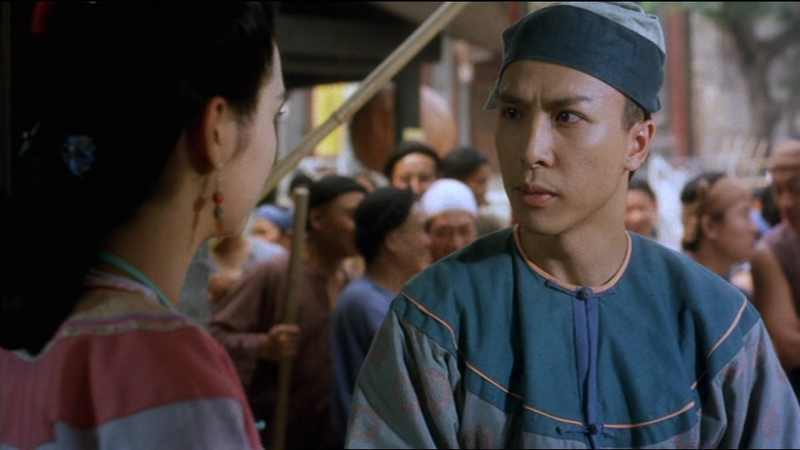 Donnie Yen’s few fights are all good, but as his character isn’t supposed to be as good a fighter as Wing Chun, his fights aren’t nearly as impressive as any of Michelle Yeoh’s. Wing Chun is probably the most harmless of all of Woo Ping’s films. It’s isn’t heavy at all, tells a nice but kinda forgettable romantic slapstick comedy kinda story, and has some very good fight scenes. CHOREOGRAPHY: (8) Once again Woo Ping digs into his bag for more imaginative fights. Since the film isn’t a serious one, the fights carry less weight than normal, but in no way does that mean the fights aren’t worth seeing. The final fight is the best one as Wing Chun uses strategy to defeat her opponent. Very little wire-work compared to Woo Ping’s other films made around that time. STUNTWORK: (7) The stunt men did their jobs in this film, and performed admirably, but there wasn’t anything too crazy in this film. STAR POWER: (8) Michelle Yeoh was near the top of her stardom, and Donnie Yen was still not living up to his potential, but you could see it was there. 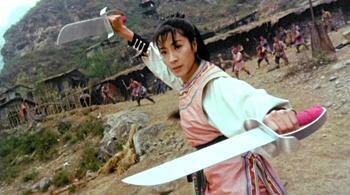 Chui Siu Keung (Duel To Death) is always great to see. FINAL GRADE: (8) Wing Chun is a lighthearted comedy that wears it’s intentions on its sleeve, and Michelle Yeoh gives a great performance as Wing Chun, and the fight scenes are are great as normal for Woo Ping.